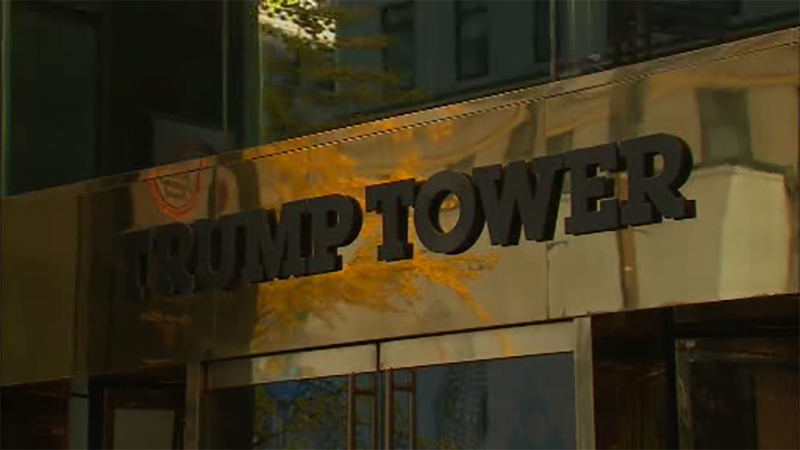 MIDTOWN, Manhattan (WABC) -- A Bronx man claiming to be a U.S. senator and wearing a bulletproof vest under his suit was arrested after entering Trump Tower Thursday afternoon. 52-year-old Adames Benitez was carrying two small throwing knives when he was screened by agents at the front screening area at around 4 p.m., authorities said. Dressed in a suit, he told Secret Service that he was a U.S. senator, there to talk to Ivanka Trump about her clothing line, and that he owned the building. He was carrying the knives and a tied off sock with a weight inside it. Benitez was charged with criminal possession of a weapon and criminal possession of a forged instrument, a forged New York State identity card. He was then taken to Weill Cornell Medical Center for a psychiatric evaluation. Ivanka Trump was not in the building at the time. She is travelling with the president in Germany.